I've mentioned already that palazzo pants will be in for fall, but that doesn't mean you need to wait to buy a pair! I don't know about you, but my sense of what's in when is totally skewed now anyway. 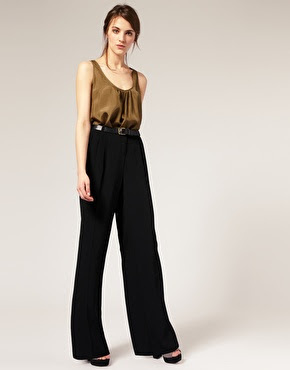 Buy these at ASOS for $72 in black or brown.